Today Wi-Fi network is the most popular among PC users. Such networks have a huge number of advantages, but how to make access point Wi-Fi on Windows XP, to have limitless access to the network? 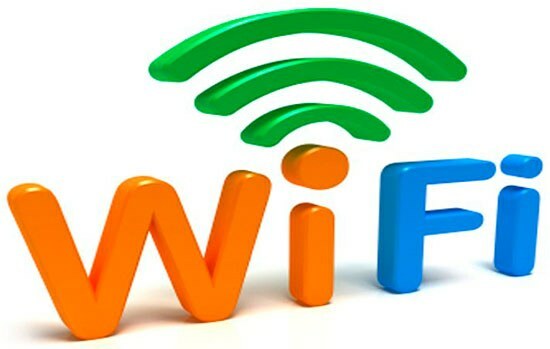 Wi-Fi is one of the most popular ways of network access. Wi-Fi has many advantages, but most importantly, the user eliminates the need to deal with wires. Another advantage is the fact that at the same time to the same network, you can connect multiple devices. For this you need to create an access point. First and foremost, you need to make sure that the device on which you will create the access point has a built-in Wi-Fi adapter. Today such adapters are available in all modern laptops, but not all tablets or phones. Depending on this, please verify that you can connect devices to Wi-Fi network. Wi-Fi access point can be done without having the router, but a device with Wi-Fi adapter. The first step of creating the access point Wi-Fi is that you need to go into the folder "Network connections" (Network connections are in the "control Panel" and then double-click the icon "Wireless network connection". You can then turn Wi-Fi on the computer. After this, you must call the context menu by clicking right mouse button on the icon "Wireless network connection". In the context menu select Properties and in the resulting window go to the tab "Wireless networks". On this tab, you need to find the "Use Windows to configure networks" and put a check mark, then click "Add". The next step is to enter data in the appropriate fields. First is written the name of the network authentication should be open, and where indicated the data encryption, you must specify that it is using WEP. The network key (should be 5 to 13 characters) also introduced themselves. The key index is necessarily equal to 1. Then, you should find the "Connect if not broadcasting" and put a tick. In the field "the key is provided automatically" check mark is removed. • Preferred DNS server is 192.168.0.1. After everything is done and if the data entered is correct, access point, Wi-Fi in Windows XP can be used.